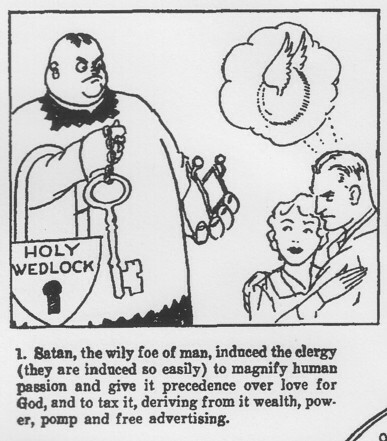 In the 1930s and 1940s the "divine mandate" doctrine was big among Jehovah's Witnesses (JWs). The doctrine stated that romantic attraction, marriage, and childbearing are wrong and unbiblical if pursued in the present world and should be postponed until after Armageddon. JWs should be busy preaching and not marrying, but could marry in "a few years" to repopulate Earth after Armageddon has killed everyone else. The cult's attitude to marriage had previously been negative for decades. But by 1938 opposition to marriage and childbearing had become a doctrine. Instead of raising families JWs had to gather the "other sheep" or "great multitude", which referred to people converted after 1934/1935 who would survive Armageddon and get eternal life on Earth. 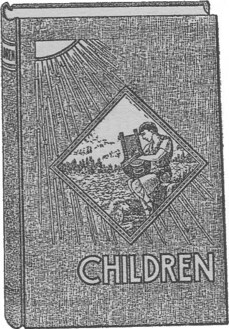 A book called Children (1941). Salvation (1939) explains that the "divine mandate" is God's command to Adam and Eve to "be fruitful and multiply and fill the earth". (p. 15) God, however, also postponed the fulfillment of this mandate to after Armageddon because he wanted godly people to carry it out. Opposition to marriage and childbearing was stated plainly many times. From 1939 to 1949 the "divine mandate" joined the list of "What the Scriptures Clearly Teach" which used to be listed on page 2 of The Watchtower. Notice, the book's purpose was to facilitate effective [door to door] work until Armageddon which was only "months" away. Children features two fictional youngsters, John and Eunice, aged 20 and 18, who study JW doctrine. After learning the essentials John and Eunice decide to forego marriage for "a few years" until after Armageddon and meanwhile go preaching. In JW doctrine the "other sheep" are people who will get eternal life on Earth. The gathering of them into the JW sect started in 1934/1935. This means that Armageddon was to come "only a few years" after 1935. Children is an outstanding publication, and by the people of good-will it is greatly appreciated. The spirit of the Lord was poured upon Brother Rutherford when he was privileged to write this book. The phrase "a few years" would in ordinary usage refer to a small number of years compared to the normal human life span. If ten years pass without the predicted event occurring, a person can rightfully suspect the prediction was wrong. If forty years, he can be sure of it. At that time in the 1920s the cult, in its book Millions Now Living Will Never Die (1920), predicted world-takeover by God’s kingdom in 1925. Therefore, in The Harp of God "a few years" meant four years. The prophecy for 1925 was of course false; I bring up the matter merely to illustrate that "a few years" is a small number. After World War II the JW leaders' opposition to marriage gradually abated. In the 1970s young JWs were still advised to delay marriage until after Armageddon which, at the time, was predicted for the mid-1970s, but pressure to comply was minimal. In 1975-1976 the predicted Armageddon again flopped, after which the JW organization published Making Your Family Life Happy (1978). With this book the JW aversion to marriage was officially buried. God's "divine mandate" whereby marriage and children were meant for after Armageddon was in effect abolished. What God thought about this, considering that "the spirit of the Lord was poured upon Brother Rutherford", is unknown. The Bible, however, had not changed. The problem all along was that the JW leaders had misused the Bible, and twisted its teaching, to spur greater door-to-door distribution of their books. Today, in 2017, John and Eunice would be 96 and 94 years old. That’s enough years to have become parents, grandparents, great grandparents, and great, great grandparents. Statements implying that Armageddon will occur "within a few years" became false predictions when Armageddon delayed longer than a few years. The "divine mandate" doctrine was exposed as false when Armageddon delayed so long that marriage and children could successfully have been undertaken. JWs call themselves "lovers of truth" but often don't want to know the truth (such as the above) about their own religion.